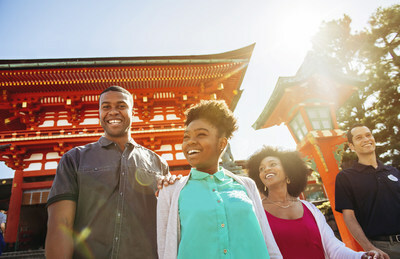 BURBANK, Calif., May 3, 2018 /PRNewswire/ -- Today Adventures by Disney, a leader in guided group travel worldwide, announced their line-up of 2019 vacation options, including an all-new itinerary to Japan. This exciting first-time destination is the latest addition to the company's portfolio of more than 50 world-class family vacations across six continents. Seek serenity at Hama Rikyu Gardens, a green oasis nestled among Tokyo's skyscrapers, and unwind with a customary tea ceremony steeped in history and tradition. Journey to some of Japan's most famous neighborhoods and markets, like Takeshita Street in Harajuku, Tokyo, and Dotonbori, Osaka's popular dining district. 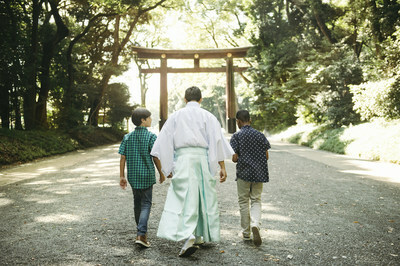 "Japan offers the perfect setting for an immersive and unforgettable Adventures by Disney experience," said Ken Potrock, senior vice president of Adventures by Disney. "This trip is designed to enrich and inspire explorers, giving them an authentic, hassle-free way to experience the rich culture of this magnificent country, complete with special touches and unique adventures that only Disney can provide." Adventures by Disney also continues to refresh and enhance their existing vacation portfolio, offering exciting new ways for travelers to experience the world's most remarkable destinations. In 2019, a reimagined Alberta, Canada itinerary will offer all-new adventures in Calgary, before traveling to breathtaking Banff National Park and the stunning Lake Louise. In Calgary, travelers will be welcomed as honorary citizens during a traditional ceremony before visiting some of the area's ranches and farms, sampling local delicacies such as the Saskatoon berry and freshly jarred honey, and even trying their hand at cowboy-style rope wrangling! These unforgettable trips join an existing array of dozens of Adventures by Disney vacations worldwide, including the largest-ever line-up of Adventures by Disney river cruise departures, including a brand-new itinerary on France's Seine River. Here travelers will revel in the beauty of the iconic sites of the City of Lights, the provincial landscape of Monet's beloved Giverny, the beaches of Normandy and a myriad of stunning destinations in between, all while engaging in an exciting array of immersive entertainment and exhilarating activities for the whole family. 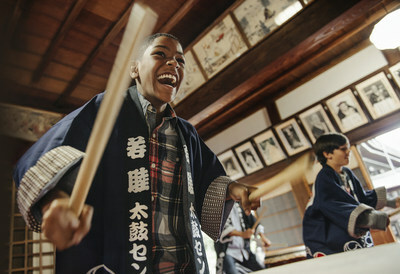 Adventures by Disney provides immersive, hassle-free group guided vacation experiences to destinations on six continents. Families traveling with Adventures by Disney receive exceptional service while taking part in extraordinary experiences at locations including: The South African plains, the great cities of Europe, Costa Rica's rich rainforest, the ruins of Pompeii and Machu Picchu, Australia's Outback, the Great Wall of China and some of America's most iconic destinations. Adventures by Disney has been recognized by numerous travel organizations for its excellence in family tourism. In Cruise Critic's 2016 & 2017 Editors' Picks, Adventures by Disney river cruises were honored as the Best River Cruise Line for Families. It was also voted Top "Adventure" Tour Operator in the Travel Weekly 2016 Readers Choice Awards, and has garnered many other excellence awards over the past decade.